New Delhi, March 22: State-run oil and gas companies are planning to create a venture capital fund to encourage start-ups to develop new business models and infuse innovation into India’s hydrocarbons sector, Petroleum Minister Dharmendra Pradhan said on Tuesday. 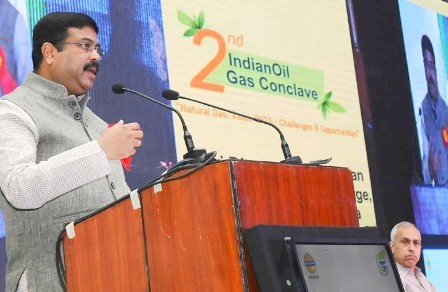 “PSUs (public sector undertakings), in consultations with the petroleum ministry, are planning the creation of a start-up fund for the oil and gas industry,” Pradhan told the Indian Oil Corp’s second gas conclave here. In making the case for start-ups in the hydrocarbons sector, the minister cited the example of the telecom sector and of industrialists like Ratan Tata who are investing in new enterprises. Speaking to reporters later, Pradhan said the time had come to change the marketing strategy from liquid fuels to gas and encourage new business models in the sector to promote innovation and create infrastructure. “PSUs are working on setting up a venture capital fund to encourage start-ups to develop new business models, marketing plan, technology and innovation into hydrocarbons. They should invest and join as partners for start-ups,” he said.